The unicorn trend is pretty inescapable at the moment, so of course we’re here to fill your autumn/winter with even more rainbow clad, iridescent, glittering sprinkles of joy, making it look like a unicorn really did puke all over your wardrobe. We promise it is a good thing! It’s a given that bright shades equal happiness, they make us smile so that fact that this trend is bursting with the brightest of bright colours is obvious why every footwear fanatic has fallen completely in love with it. You can pretend to hate it but there’s really no way of avoiding this one! 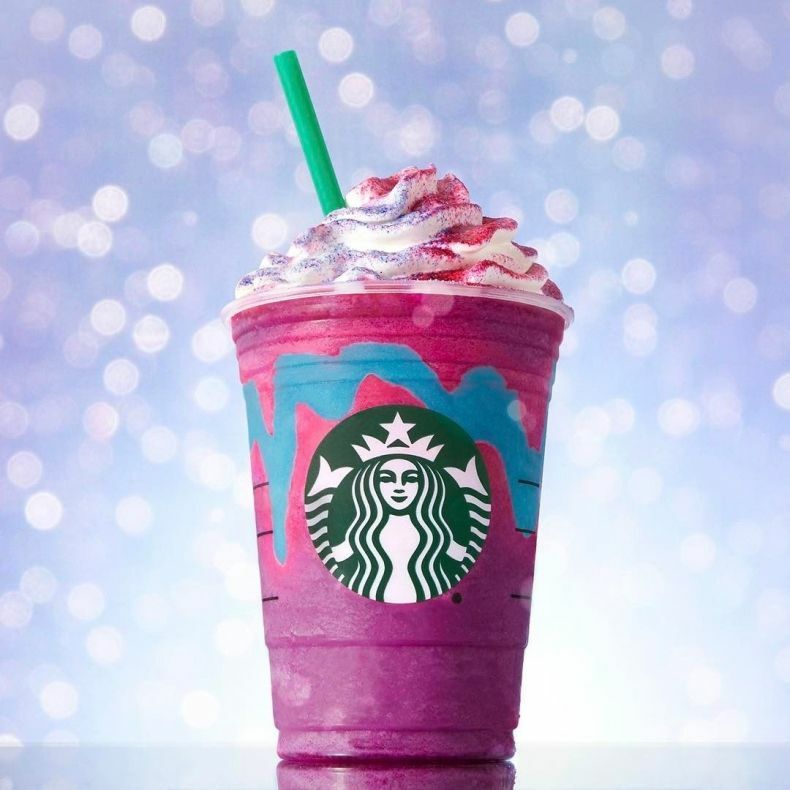 If you remember correctly, the unicorn trend graced the scene with global coffee company, Starbucks, ‘inventing’ a unicorn Frappuccino fit for Instagram. The controversial vanilla whipped pink and blue powdered drink made somewhat of a lasting impression on the world. Some say it solidified the trend but others say it just straight up killed it. We’ll leave that up to you to debate. 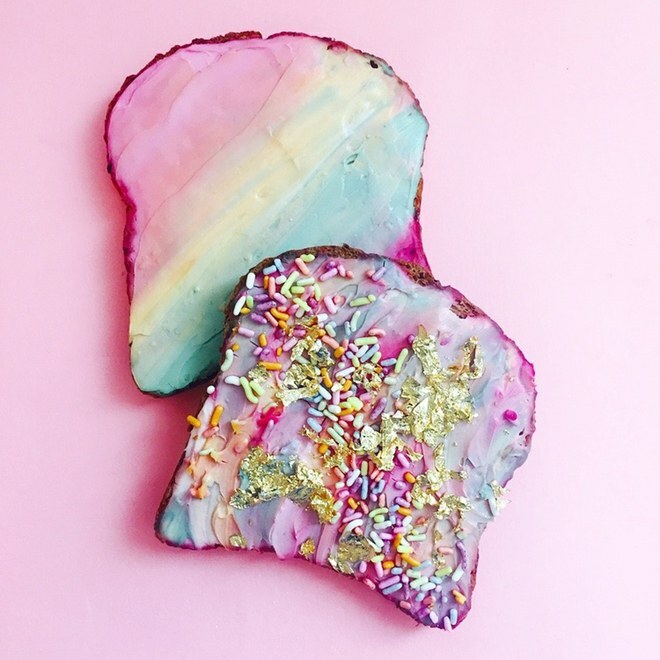 The real inspiration for this majestic trend comes from the most instagramable thing on the internet – Unicorn Toast. You know that one, it’s prettiest slice of toast you’ve possibly ever seen. If you haven’t then feast your eyes on this bad boy. Adeline Waugh, the stylist behind this so-called trend, yes, that’s right we said stylist, a food stylist at that, runs a health and wellness blog, Vibrant and Pure, which is fuelled by this magical unicorn food. She experiments with food dye turning boring old cream cheese into a rainbow of colours that really are good enough to eat. What’s not to love! Nom! With all of the hullabullo of unicorns sprinkling their magic everywhere, it’s was only a matter of time before they made their way into the world of fashion. And to be honest a trend isn’t a trend without it taking pride position in your wardrobe, especially among your footwear collection. 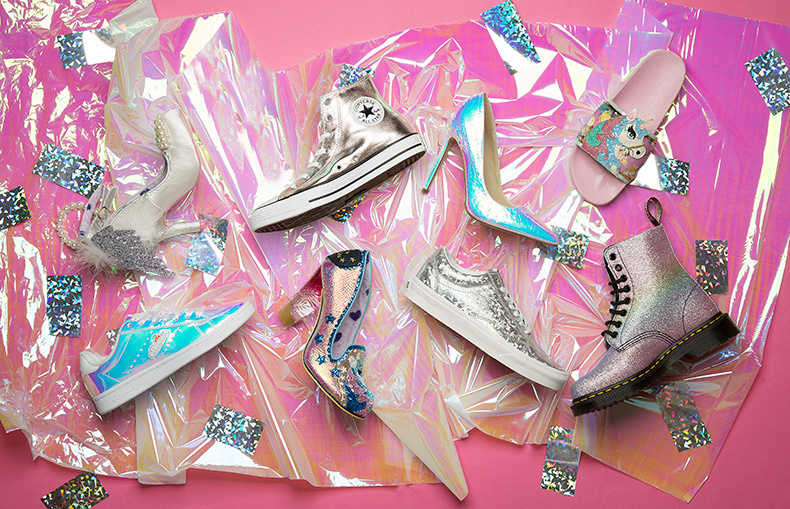 Whether you’re after metallic heels or glitter trainers our selection is filled with iridescent, kaleidoscope-inspired shimming bundles of joy. Even just looking at them fills us with sweet sweet feelings of happiness. So Ladies, just one thing; be yourself, but if you can’t be a unicorn, always be a unicorn. Vans X Karl Lagerfeld – It’s Here!